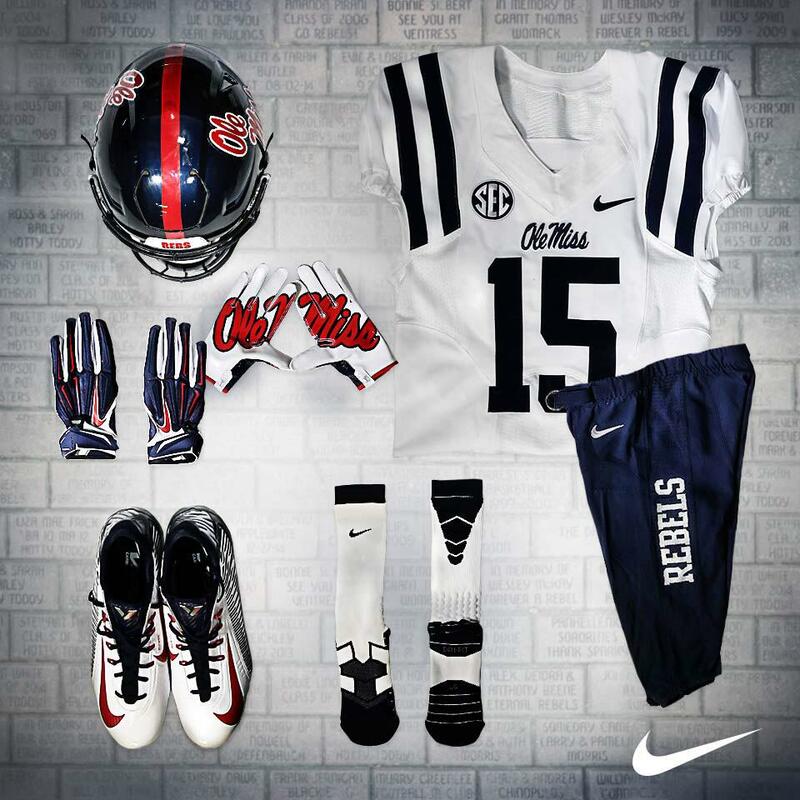 In a stark departure from the previous two weeks, the Rebels are sporting a navy-based road uniform this week at Florida. After wearing powder blue helmets, gray pants, and red-based jerseys for the past two weeks, the Rebels will wear navy helmets, navy pants, and the navy-accented road jerseys. This marks the 2015 debut of the navy-accented jerseys, which were first unveiled in the 2013 off-season and were worn 4 times in the 2013 season and once in the 2014 season. 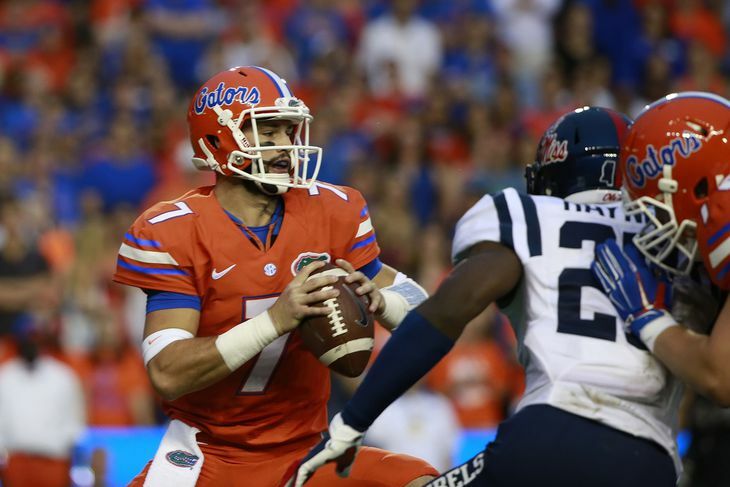 On the opposite side of the ball, the Florida Gators will also be wearing an alternate look: all-orange. 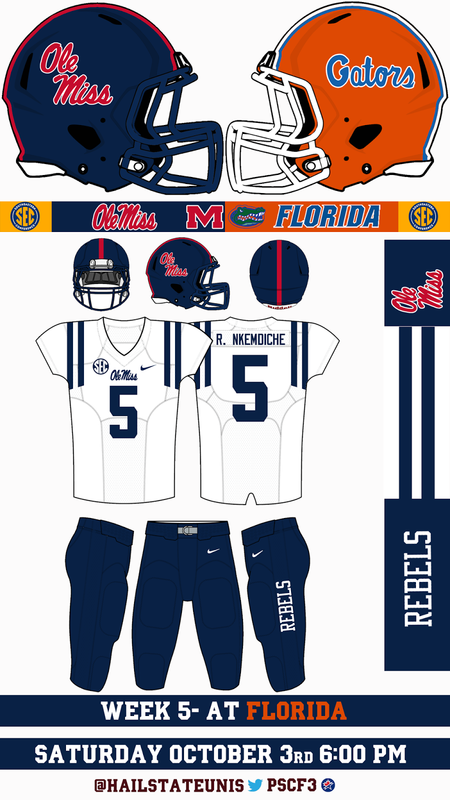 Though neither team is wearing their normal look, there is an undeniable color contrast between the two uniforms.